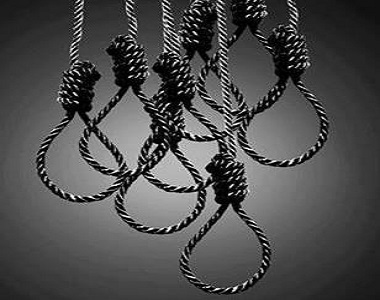 HRANA News Agency – The Statistics and Publication Unit of human rights Activists in Iran has publicized a Comparative report on the executions in Iran in the first half of “Shahrivar” ( 23rd August- 6th September) this year, against the statistics of executions in the previous month and also same time last year. Finally, they have announced a fifty percent of growth in the executions. According to this report, a disturbing trend of execution is expected to be carried out. Iran has not signed the Optional Protocol to the ICCPR, which calls for the abolition of the death penalty and despite international warnings regarding executions and stopping the death penalty, and despite the lack of fair trial standards a large number of criminals and offenders are being executed by hanging in public and in secret. Iran has the second highest number of executions after China. If we want to compare the relative population of the two countries, the number of criminals and executed people, Iran will be the first country. In the first two weeks of Shahrivar (23rd August- 6th September) 2014, at least 32 people including 2 women and 30 men, were executed. Also, 20 of these 30 people were executed secretly and without officially being announced by the Judicial or police forces and only 12 of them have been reported by state run media. In addition, 4 of them were hanged in public. The executions of 20 men suspected of carrying or possession of drugs and 8 people were convicted of murder, the accusations of the rest are not known.